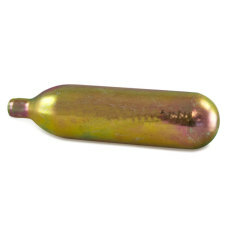 Use this portable CO2 charger as a way to dispense beer from a Corny keg without dragging along your CO2 tank. Use this portable CO2 charger as a way to dispense beer from a Corny keg without dragging along your CO2 tank. No tanks. No hoses. It takes about two 16 gram non-threaded CO2 cartridges (Item # GF111, not included) to dispense a carbonated keg. Trigger valve allows precise control of gas. 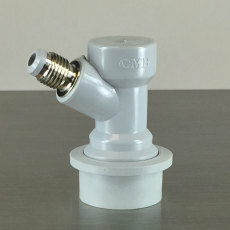 Charger connects directly to a gas ball or pin lock disconnect to dispense beer.